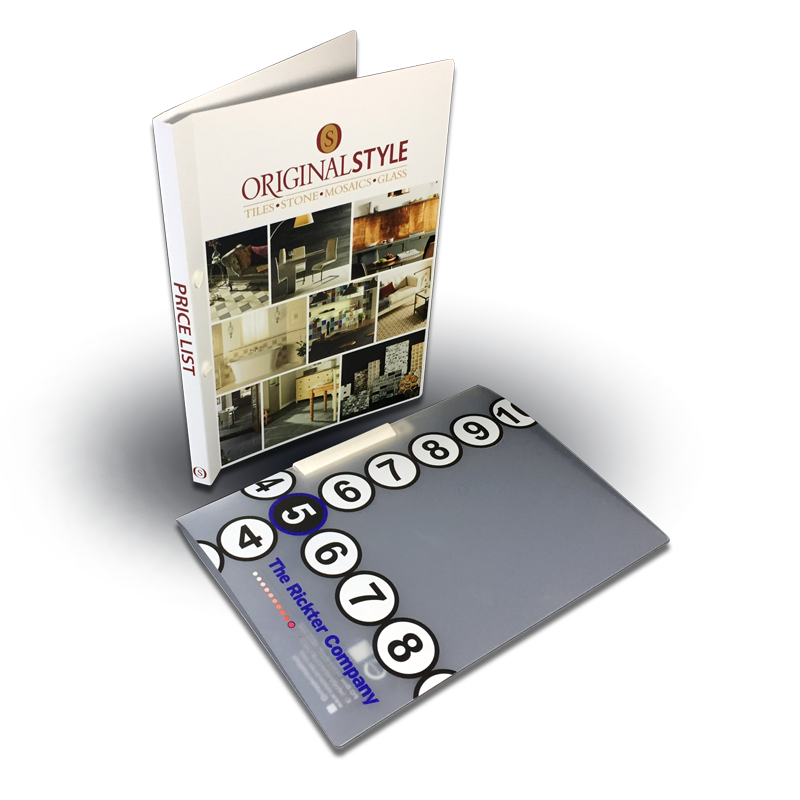 Bespoke ring binders, produced to your exact requirements, help you organise your paperwork and keep it safe, and, by adding your logo or a promotional message, can also become an effective marketing tool. Choose from various sizes, with or without handles, printed to your specification and you’ll have an organised and professional method of presentation. Our cases are usually produced from durable polypropylene and supplied flat for easy storage. 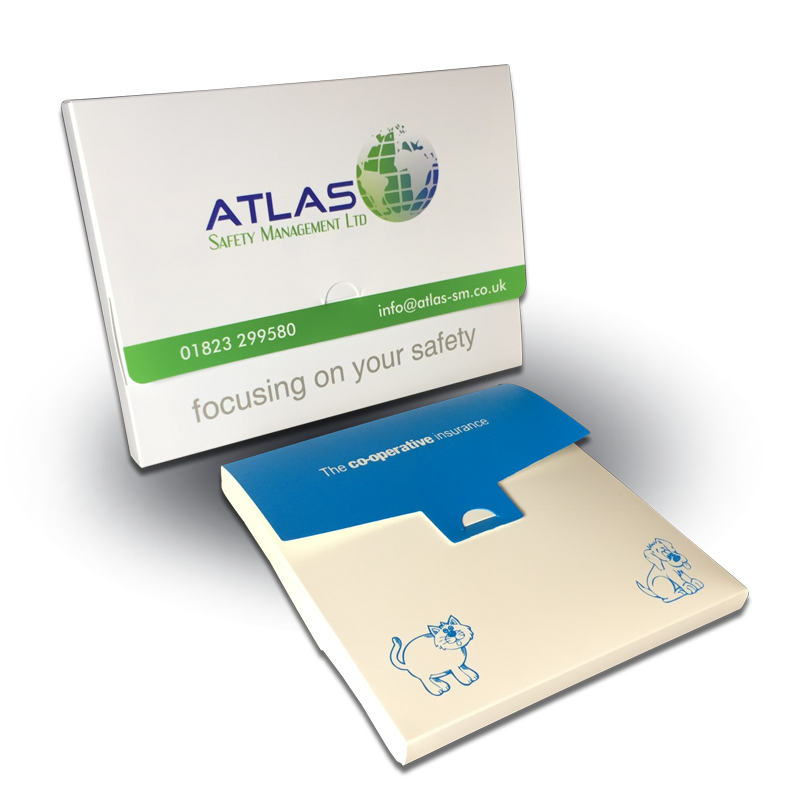 Presentation folders provide a simple but highly effective method of displaying your products or services. 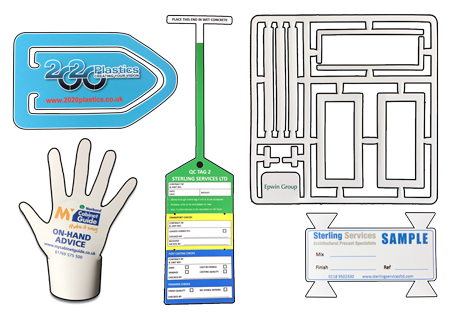 They can be manufactured in either polypropylene or PVC, with a range of fittings and closures and printed to your specification. PVC wallets are great for keeping documents safe, clean and well organised. They are available in a range of standard sizes or can be custom made to your size and printed with your logo or message. 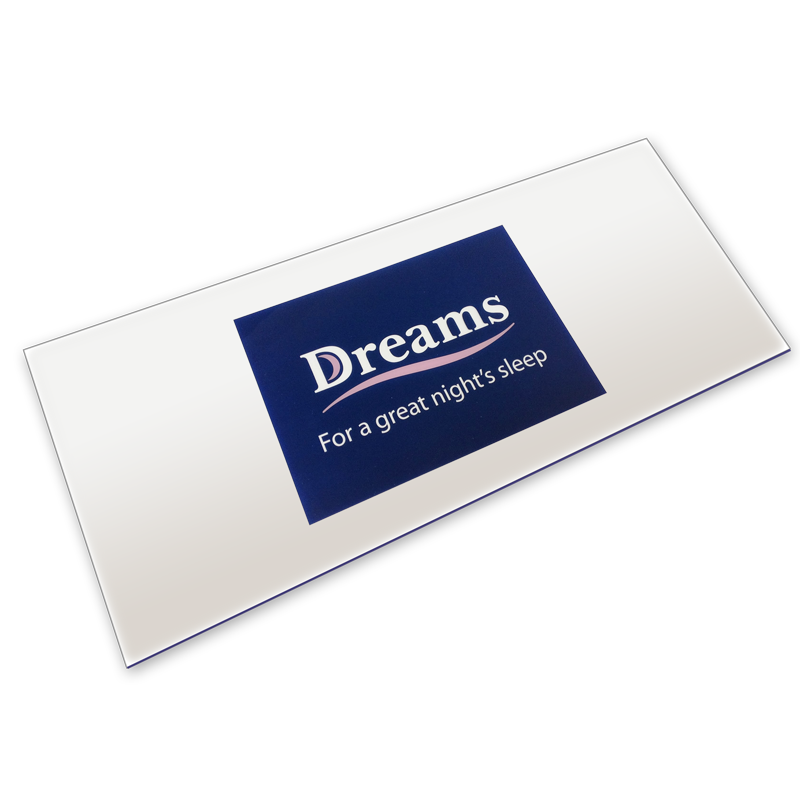 Screen-printed onto heavy gauge PVC, our bed foot mats provide protection for the mattress while a bed is being displayed in-store whilst promoting the manufacturer’s brand. It is amazing what can be created from PVC and polypropylene, anything from clipboards to die-cut shapes.  Take a look here at some of the more unusual or specialised products we have manufactured. 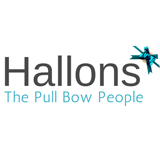 We are a highly diverse independent UK manufacturer of PVC and polypropylene products for a wide variety of applications and take pride in our ability to provide personal service with a relaxed but professional approach. 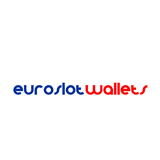 As one of the UK’s largest suppliers of plastic wallets and pockets in the UK, we can supply these to suit any application either from stock, or by designing, a bespoke wallet just for you. 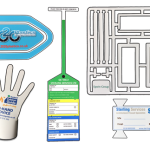 Our ability to design and manufacture bespoke products extends into branded or personalised ring binders, folders, cases, clipboards and many more unusual items, such as bed foot mats or reading and writing aids for the blind and partially sighted. 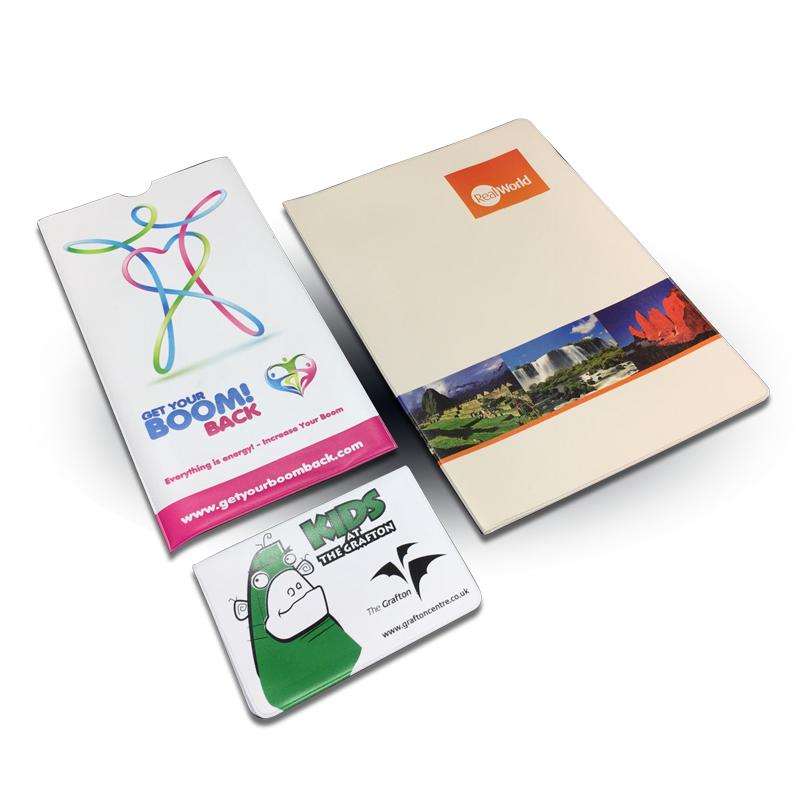 All our products are manufactured in-house and can be customised by digitally printing in full colour, screen printing in solid colours or encapsulating printed card inserts. We cater for all industry sectors from sole traders to extremely large organisations such as Lloyds Pharmacy, HSBC, the AA, Hypnos and the RNIB. Our friendly team will be happy to help you design and produce exactly the right product to meet your next project objective, even if you only have the outline of an idea. We would love to welcome you to our showroom to show you what is possible. Alternatively take a look at some examples on this website, by clicking one of the categories above. Why not give us a call on 01626 20 20 00 to arrange a visit or just to have a chat about an idea. 2020 Plastics – Creating Your Vision. In addition to our UK manufacturing business, we also have some sister businesses. 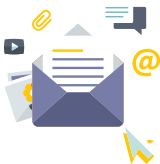 Upon receipt of your enquiry, whether it’s by telephone or email, we like to get back to you promptly to run through your requirements and to confirm if it’s something we can make, so you don’t waste any of your time. We will listen to your requirements very carefully to understand your objective , offer advice and talk through all the options. We are aware you may be unsure as to the exact product or final specification you or your customer needs, so we try not to use jargon. We like to use plain English! We make high quality products and want you to feel confident before placing an order. We are happy to provide you with free samples of our work so you can judge the quality for yourself. The advice and service we got from Julia and the team at 2020 was first rate. And the finished products were perfect – produced faultlessly and delivered on time. We couldn’t ask for anything else. As a manufacturer we wish to participate in protecting the planet and to achieve this we not only have an environmental policy which takes steps towards producing environmentally responsible products, we regrind our waste PVC. This is then reprocessed for use in our own products. There are no dangerous emissions during the manufacturing process, neither does the material contribute to groundwater pollution in landfill. All our plastic conforms to European and US Legislation for food use, which means that you have the peace of mind that it meets the strictest requirements for any use. PVC is one of the most environmentally friendly plastics as it can be recycled relatively easily. 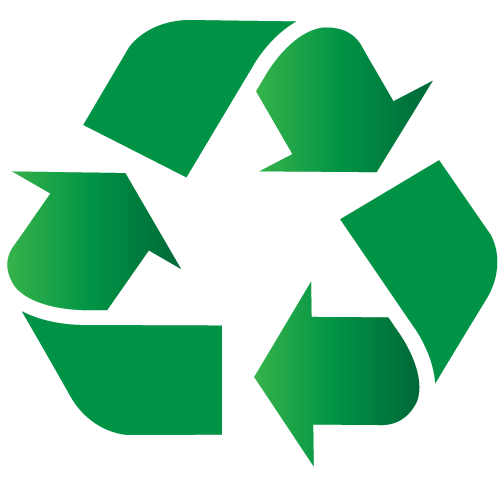 We believe we are the only UK manufacturer of PVC products in our field that recycle from our own waste stream and re-use it. If you return any 20 20 products after it has finished its useful life, we’ll aim to recycle it for future projects. Keep up to date on new products and services that we can offer!